"The World’s Premiere Show for Watches, Jewellery, Gems Industries"
Baselworld is the world's foremost show for watches, jewellery, precious stones, and related industries. 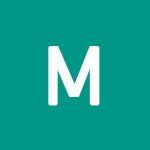 It interconnects the industry’s top brands (including Rolex, Patek Philippe, Chopard, TAG Heuer, Hublot, and Breitling), the most influential media and the world’s most important buyers. Baselworld is the exclusive platform on which the major watch and jewellery brands present the year’s innovations to an eagerly curious international audience. 4 03 Apr 2017 Pierre General Manager at Ting Fung International Co. Ltd. THE BASEL FAIR RUN THIS YEAR IS A BIT BETTER THAN LAST YEAR ON SOME PARTICIPANTS FEEDBACKS, AND WHICH WE CAN SEE NEW CONCEPTS ON ANALOG WATCHES MORE THAN THE PAST, WHILE SMART WATCHES IS STILL ACCEPTED FROM MARKETS. Great event, had many important and useful meetings.The price level on hotels etc have skyrocketed by every year, I noticed several people who did not attend this year, maybe due to this? I had a wonderful time in Basel met lot of important JEWELLER's and gem merchants. well organized and got lots of new contacts well don. Many brand move out not convenience for us to visit brand, hope next year you all bring back all brand . 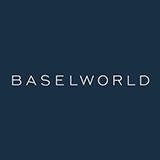 Baselworld welcomes around 1800 exhibitors from 41 countries to present their innovative products in front of the world and make the buyers aware about the recent advances and innovations from this sector. The prime items of exhibit at the show include gold watches, fine jewelry, prestige jewelry, stones, pearls, clocks, watch straps, packaging, components, tools and machines. Leading manufacturers, suppliers and exporters participate in the show to display their products and services related to jewelry and accessories and gain leverage.